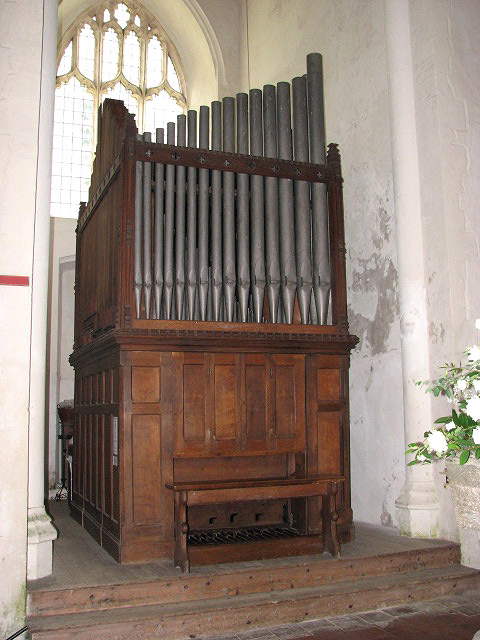 The church organ was made in 1867 by William Denman of York, who made two organs for Norfolk churches: the other one stood in St Benedict and was destroyed during WW2. Update (4 June 2014)- Mr William Janssen kindly supplied the following information: "I am the organist of Thetford United Reformed Church. This church houses a 13 stop very original organ by William Denman, built originally for St. Cuthbert's Church in Thetford where it was replaced in 1911 by an instrument by another Yorkshire organ builder James Jepson Binns of Leeds." This page has been viewed about 343 times.